HONOLULU — Accusations of politics continue to swirl around an advisory committee working to make recommendations about the Akaka Bill to the U.S. Commission on Civil Rights. 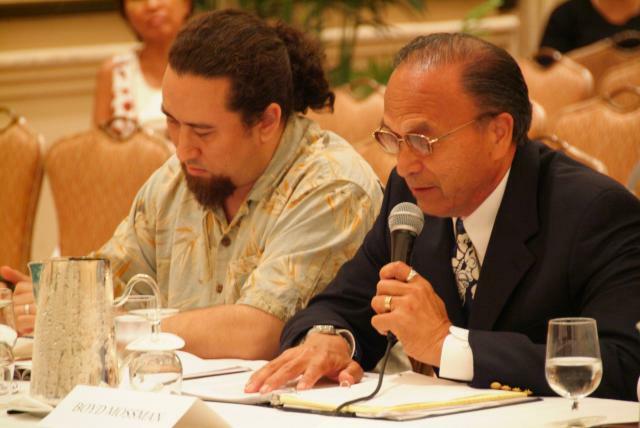 Several members of the Hawaii State Advisory Committee said Wednesday they’re considering filing a complaint about Michael Yaki, a pro-Akaka commission member who sat in on a Sept. 5 meeting of the committee. Yaki is the second commission member to attend an advisory committee meeting this year — Commission Chairman Gerald Reynold attended the first meeting of the committee in August. 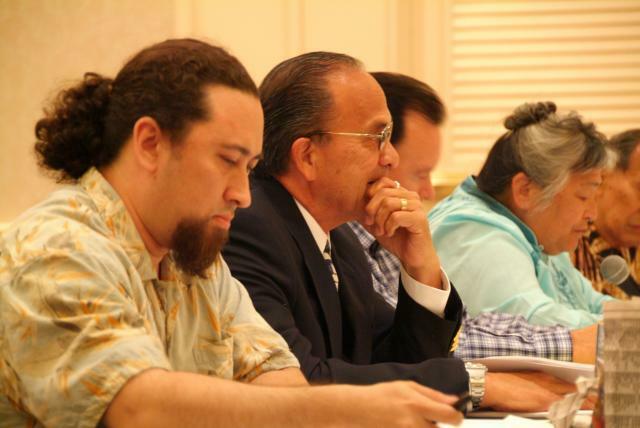 Haunai Apoliona spoke in support of the Akaka Bill, insisting that ancestry to the “aboriginal, indigenous, native people” of Hawaii is not a proxy for race. Testifying in support of the Akaka Bill, Robert Klein spoke about the limits he thought should be put on the Committee’s consideration about the pending legislation, arguing that constitutionality should simply not be discussed until the issue is presented before a court. Testifying in opposition to the Akaka Bill, Jere Krischel spoke out against the proposed race-based government at a public meeting yesterday. Speaking after three OHA presentations, and a presentation by sovereignty activist Dr. Kekuni Blaisdell, Mr. Krischel offered corrections to both the historical record put forth by his fellow panelists, as well discussing the problems with dividing Hawaii by race. Jere Krischel’s full testimony can be found here. Apoliona, Klein and Mossman’s testimony can be found here. When made available, Kekuni Blaisdell’s testimony will also be linked. Aloha, members of the committee, and thank you for inviting me, and giving me this opportunity to share my mana’o on this topic close to my heart. Aloha also to the esteemed Mr. Mossman, Ms. Apoliona, Mr. Klein and Mr. Blaisdell – I have a great respect for all of them and their many accomplishments, even though I believe they are on the wrong side of particular issues. I am very grateful for the opportunity to share my thoughts, and listen to theirs. 5) and finally, some words about the dangers of dividing our interconnected people by race, and some thoughts about considering everyone in Hawaii as Hawaiian.